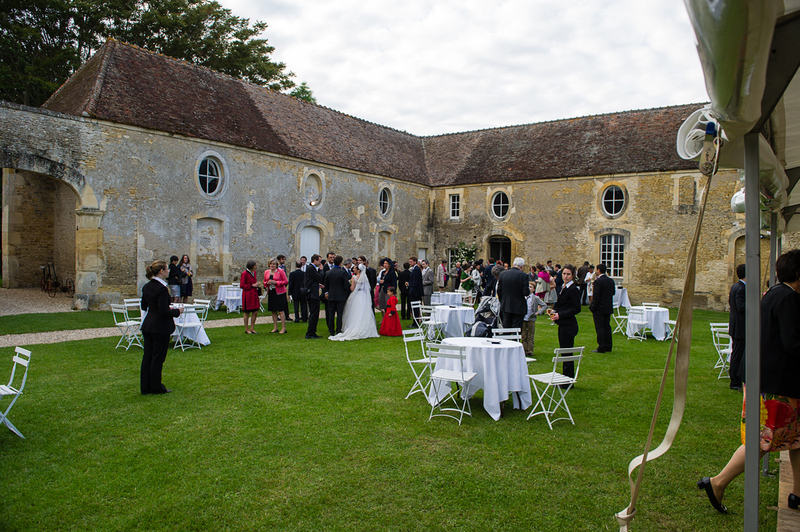 Situated in Calvados between Caen and Lisieux, in the Pays d’Auge le Chateau de Canon is an exceptional venue to organise the happiest day of your life, and only 150 minutes from Paris. 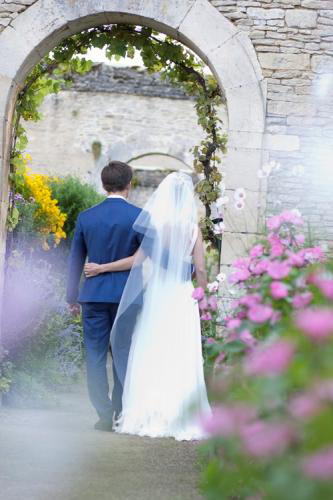 In a perfectly preserved site the chateau reveals itself at the end of a majestic avenue. 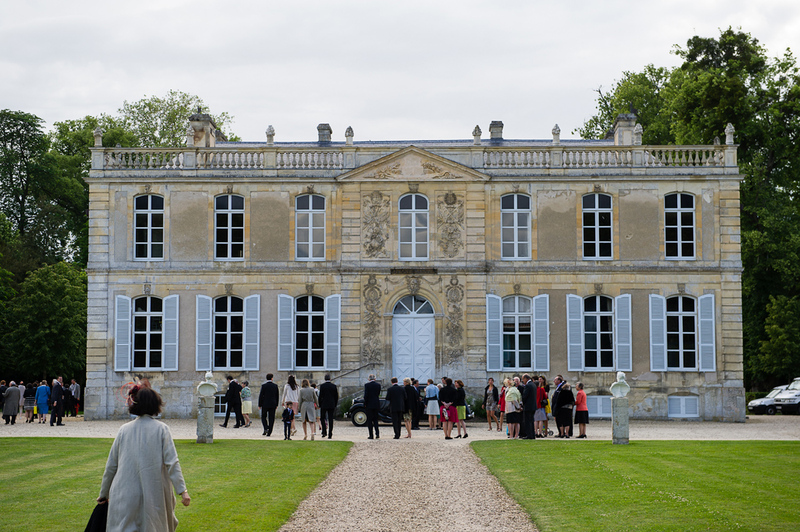 The bride and groom and their guests are received next to the entrance gates facing the chateau. Chateau and all façades in the cour d’honneur are floodlit from nightfall. Recently restored, this eighteenth century celebration room having regained its original appearance, makes a dream reception venue. The care put into the restoration of the Salle des Rosières means this is a setting of particular elegance, a unique room with a capacity for 230 covers. To increase capacity, a marquee adjoining the building and providing a further 120 covers, can be made available. Facilities : Oak dance floor, fitted, equipped kitchen. Dressing rooms and bathrooms at your disposal. 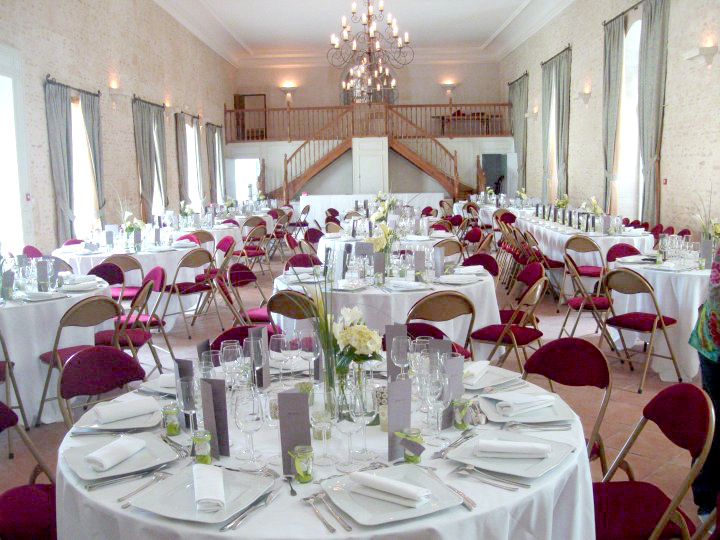 A small reception room adjoining the Salle des Rosières makes an ideal place for little ones. Furniture and Equipment available for Hire : video-projector and screen, 2 sorts of tables, chairs. For more detail see below on the 2014 Rates. There are several choices for where you have your cocktails. In fine weather between the chateau and the ornamental lake, or alternatively in the outbuildings to the south of the main house near the cider press or in the orangery. You can wander at leisure in the 15 hectare park, take magnificent photographs and give your guests a veritable ‘journey’ amid the numerous follies and rich variety this classic French and English style garden has to offer. Every reception is unique. For that reason at Canon you receive a personal welcome. By visiting it is possible to choose an option, which is completely without cost and without obligation on your part. The sole obligation is ours in giving you priority for your chosen date. Contact us quickly to arrange a visit! Link to the contact page. Contactez-nous vite pour une visite sur rendez-vous!